At LiDestri, sustainability is more than a buzzword: It is a philosophy that guides us. As a multigenerational family-owned business, we care deeply about building a sustainable future. Our goal is nothing less than environmental neutrality. To achieve our sustainability aims, we have developed measurable objectives, always setting a high bar. We have worked to innovate across our business, from developing and refining processing methods to developing new packaging materials and techniques that are more efficient and less wasteful. We trust that investing in sustainable practices is good for the world and for the bottom line. Francesco Rinaldi’s organic sauces are packaged in the environmentally-friendly Living Jar, an innovative substitute to glass packaging that is lighter, shatterproof, BPA-free and has a significantly smaller eco-footprint than its glass counterpart. A third of all landfill space is made up of discarded packaging. Even though consumers have become more aware of the need to recycle, and demand has moved toward sustainable business practices, packaging waste continues to be a serious problem. We have been innovators in sustainable packaging for years. 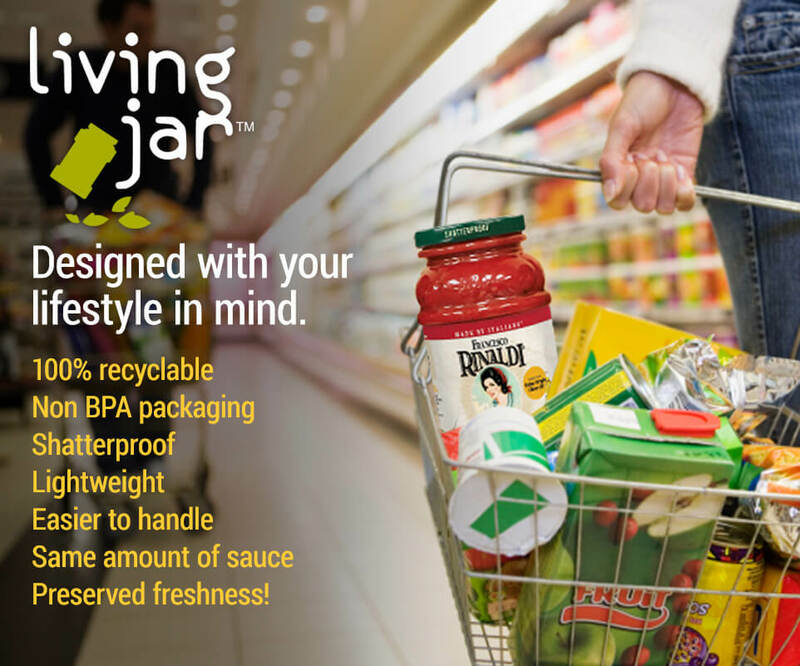 We pioneered a 100% recyclable plastic container, which we call the Living Jar™. This PET plastic container, more widely recycled than glass, is far lighter, which means lower fuel emissions via less trucks on the road. 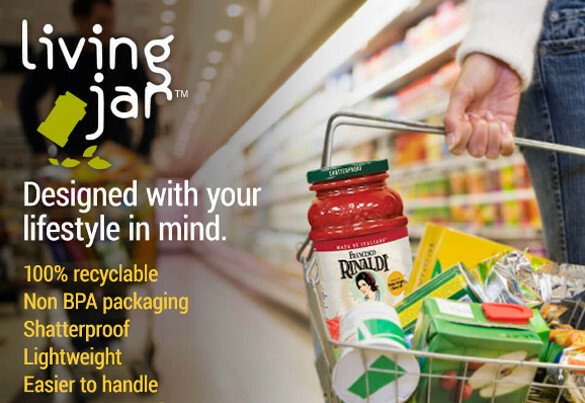 Many of our partners have embraced our sustainable packaging innovations, including Wegmans, Aldi and Newman’s Own – each has transitioned its pasta sauces from breakable, hard-to-recycle glass to our environmentally friendly plastic. Fun Fact: We changed from RSC packaging (the traditional box: four flaps on the top and bottom) to trays for our sauce products. If you stacked our formed trays next to the old-fashioned formed RSC boxes, the reduced height would stretch from Rochester, NY to Italy more than three times based on an industry that produces 200 million cases! 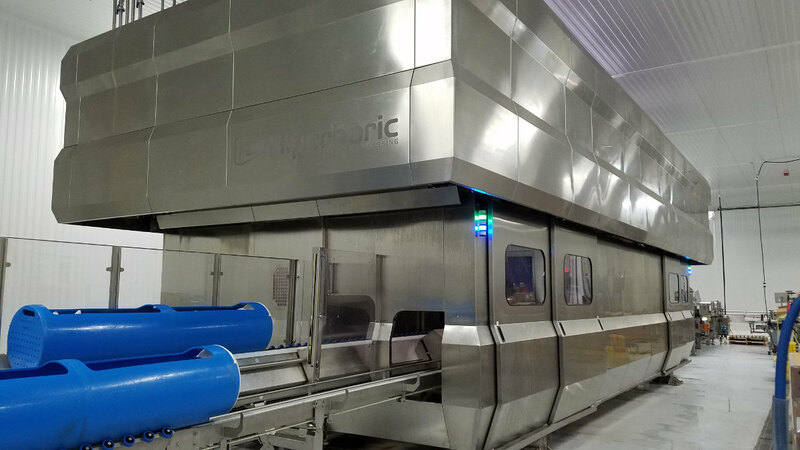 Through this innovative approach, High Pressure Processing (HPP) customers will be able to offer consumers great tasting products and extended shelf-life without the use of heat or chemical preservatives. In the food and beverage industry, what’s good for the consumer is often good for the environment. For example, when we recognized the burgeoning consumer demand for healthy and natural foods and beverages, we knew that our partners would need fresh, innovative ways to produce these products. Our response was to install a High Pressure Processing (HPP) service station that effectively kills microbes without the application of heat. Instead it applies up to 87,000 pounds of water pressure on sealed products. 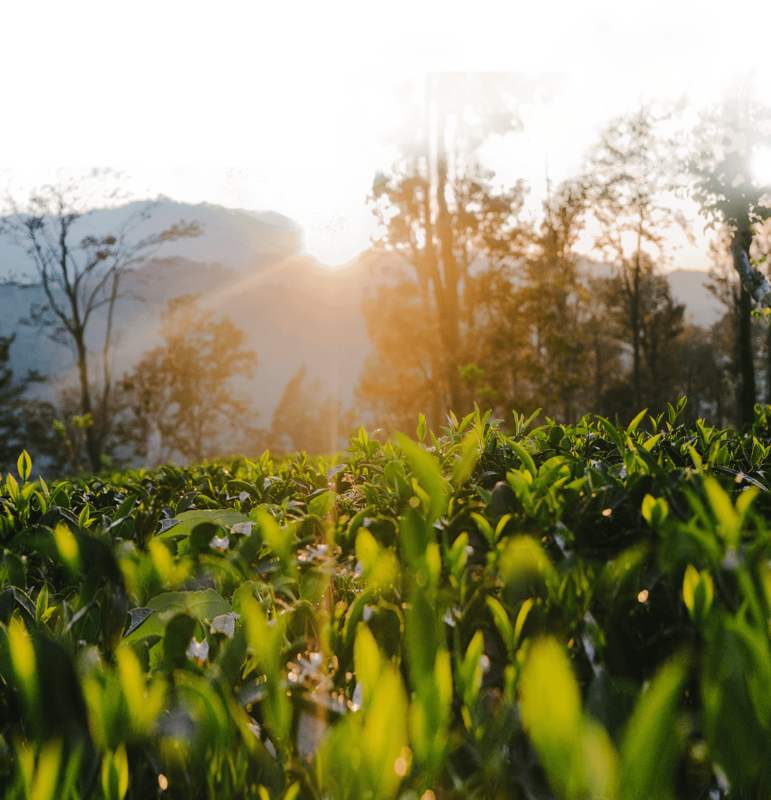 The result is a product that can have a much cleaner label and still achieve the same shelf life (or even greater) as those using preservatives. The environmental benefits of HPP include less food loss due to expanded shelf life, reduced energy demand, longer expiration dates that keep products in the “fridge” and out of landfills, and the production of healthier foods that translates to healthier people and reduced medical waste. Fun Fact: HPP saves time! We calculated that for someone who wants a fresh glass of orange juice every day, drinking orange juice that moves through High Pressure Processing can save over 100 trips to the grocery store per year! Our natural resources are precious and must be treated with great care. We are constantly striving to improve the efficiency of our resource use, as well as devising innovative methods of reducing waste. Our latest innovation is in waste water purification. Our Pure Water Project uses proprietary equipment to separate out bio-organic byproducts, allowing 90% of the water to be reused. 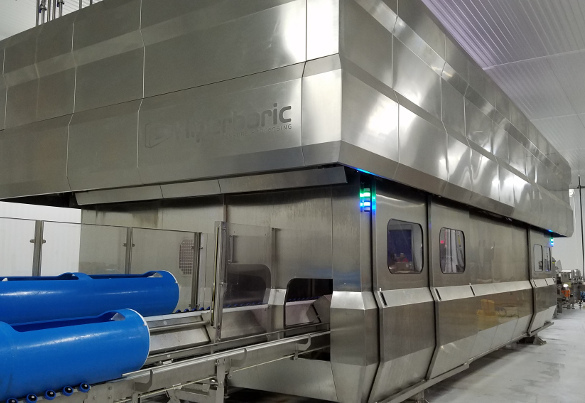 This new purification system, which uses 50% less energy than other water recovery technologies, reduces the burden on the local public water treatment facility. The Pure Water Project is a perfect example of how sustainable manufacturing practices can reduce waste and improve savings…savings passed on to our customers. Consumer faith in brands is at an all-time low. 42% of consumers report say they consider companies and their brands less truthful than 20 years ago. That has led to unprecedented levels of consumer-led research and increasing demands for information about brands’ values, sourcing, and production practices. Today, the price of trust is transparency. At LiDestri, we are committed to sustainable, ethical production and processing practices. We earn the trust of our partners by letting them be a part of everything we do. In addition, we acknowledge consumers’ desire to know more about the products they purchase and consume, so we strive to be open about our products--both in terms of what's in them and how they are made. We do right by the planet and people by acting socially and environmentally responsible.